We’re looking forward to seeing progress in electric aircraft, and this year may be an opportunity to see real breakthroughs. Besides its regular lineup of high-quality aircraft, Pipistel will have two Alpha Electro trainers on display in their display area. 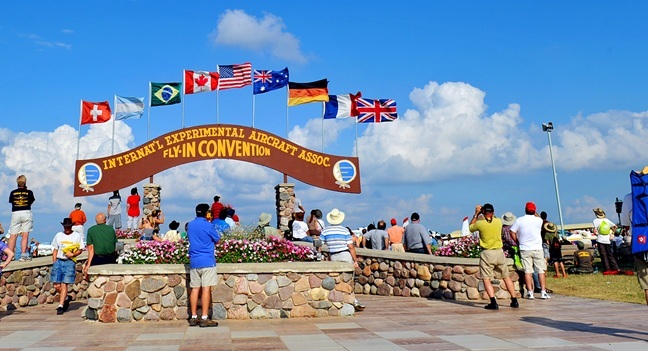 This is the first time these aircraft will be seen in America, and they’ll be at the right of AirVenture’s main entrance gate in sites 86 and 87. 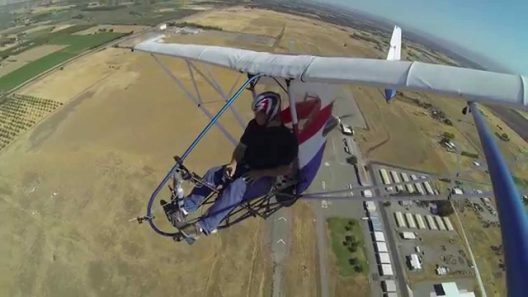 Mark Beierle will display and fly Bravo, Richard Steeves’ e-Gull. This red, white and blue gem features a power system made from Zero Motorcycle components and boasts an impressive rate of climb and exceptional short field capabilities. Another ultralight, the EMG-6 developed over the last few years by Brian Carpenter of Rainbow Aviation/Adventure Aircraft, will show off the REX 30 MGM-Compro motor from the Czech Republic. The units, with their matching controllers, power dozen of different types of aircraft in Europe, from paramotors to Light Sport Aircraft. This should be a good matchup with Brian’s design. A little heavier item, the Merlin Personal Sport Aircraft (PSA) will be on display, and Don Lineback promised your editor that his electric motor and battery packs will be on display alongside. Think of PSAs as being a single-seat LSA, with similar operating and regulatory simplicity. 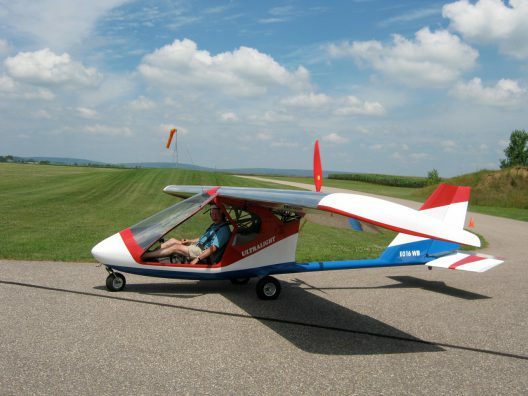 Chip Erwin’s company, Aeromarine LSA, also makes the Zigolo ultralight, which has been electrically powered. 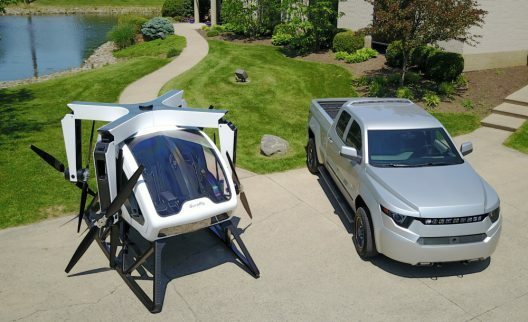 WorkHorse will display their SureFly hybrid two-seat helicopter, designed to be easy to fly and easy on the environment. It shares a great deal of technology with the firm’s stepvan and W-15 Pickup. Working with United Parcel Service (UPS), they have a drone that can deliver packages from the stepvan, extending the hybrid van’s outreach without using extra fuel. Embry Riddle’s innovations in electric flight go further. Turn to Beth Stanton’s article in the May, 2017 Sport Aviation, “Turning No into Yes,” for an examination of ERAU’s philosophy and exciting outcomes. The University’s Eagle Flight Research Center’s products include a collaboration with Eric Lindbergh, Charles Lindbergh’s grandson, to create a clean and quiet e-Spirit of St. Louis; work with a Hybrid Electric Aircraft Consortium to craft motors for a nine-passenger hybrid electric turboprop airplane; the Heurobotic UAS VTOL drone; an on-demand aerial vehicle that could replace a car, and a Navion converted to simplified fly-by-wire control that could be applied to general aviation craft. 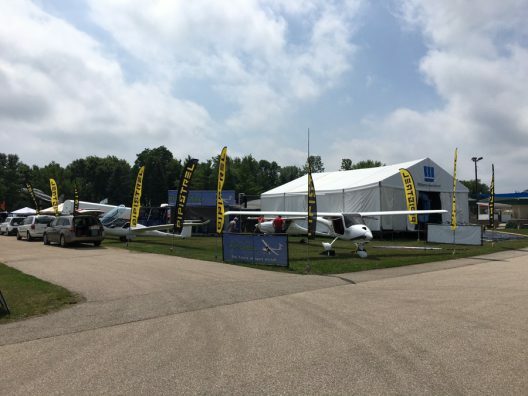 How many of these innovations will be on display at Oshkosh remains to be seen, but ERAU always has their best and brightest on the field. We hope they’re able to have at least a representation of this product on display. We hope to see displays from Israel’s EViaton, Randall Fishman’s Electra-Flyer, Bye Aerospace‘s Sunflyer, Joby Aviation, Phoenix Air USA, and maybe even the elusive Zee Aero. Apologies to anyone we’ve left out, but we’ll report on things from Oshkosh or shortly after returning home.